The world is a better place with James Bond in it. Can that even be argued against? Even though I’m not the biggest Bond fan in the world, I recognize the series’ importance as a model of consistency; a tether that spans 50 years. So when MGM got their act together to deliver another Bond, I was happy. When they gave us a movie like Skyfall, I officially became a fan boy. That, ladies and gentleman, is the reason that Skyfall lands so high on my list, and why it nearly took the #1 spot. Heck, any other year and it probably would have been. Before Bond 23, I was a casual fan of the series: I enjoyed the Connery films, especially Goldfinger, have never seen On Her Majesty’s Secret Service, and haven’t liked what little I saw of the Roger Moore or Timothy Dalton eras. I like Pierce Brosnan well enough, but Casino Royale was the first Bond movie I ever loved. Skyfall is different, though. 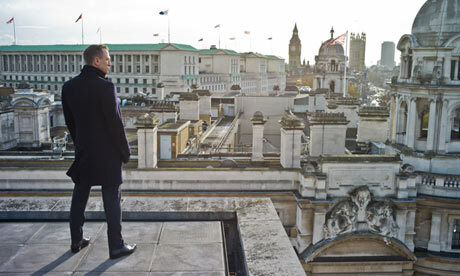 Skyfall has made me want to go back and watch all the others and make myself a true Bond fan. I don’t know what it is about it; it just seems perfect. This chapter of the Bond tale has 007 coming back from the dead, so to speak. In the opening action sequence, he’s accidentally shot by another MI:6 agent and presumed dead when his body is taken by the tide. He only resurfaces after an explosion at MI:6 headquarters claims the lives of several agents and a computer hacker threatens to expose the identities of more, unless M “thinks on her sins”. What follows is a brilliant, tight cat-and-mouse game between Bond and Silva, a former agent and protégé of M who’s out for revenge. Daniel Craig has officially become my favorite Bond, and most of it is thanks to the writers’ ability to humanize him through his three movies. While the other actors were able to fill the role admirably, Bond never seemed to get dirtier than what would show on his three-piece suit. Craig’s Bond is different. Through three movies, you’ve been allowed to see a Bond heartbroken (Casino Royale) a Bond hellbent on revenge (Quantum of Solace) and here, a Bond that is half the agent he used to be. Out of shape, old, and not able to shoot straight, Bond is faced with the realization that like beauty, his skills as an agent will not be around forever. The movie has a “city under siege” feel to it, which could be owed a lot to Christopher Nolan’s The Dark Knight. Similar plot points, like being caught is all part of the plan, makes it easy to draw parallels to the other film and never have the Bruce Wayne and James Bond characters seemed so much like long lost brothers. 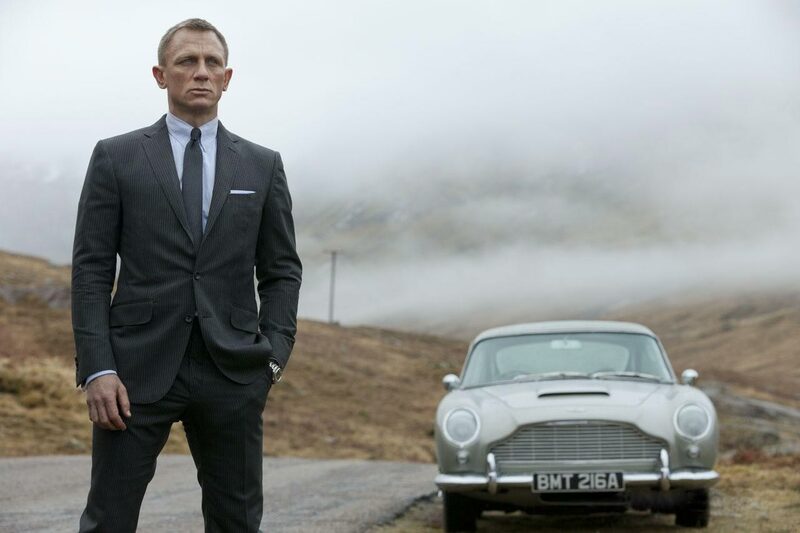 In the masterful final act of the film, we get insight into the past of Bond that brings his character and the film full circle, while still giving us top-notch action and a vehicle worthy of a Bond fans nerdgasm. With Silva, you have a villain that is out for something rarely seen in a Bond movie: revenge. It’s a pretty simple motive and the simplicity is what makes Silva such a great character. His motive is much more primal than, say, Goldfinger’s desire to be super-villain-level rich. This characteristic gives Silva a brutal edge to him. All the planning, all the resources at his disposal, and all he really wants to do is kill an old woman. You know you have a top-level bad guy when his motives, broken down to the most basic level, are still that of a damn sociopath. You couldn’t ask for a better actor than Javier Bardem to play Silva. Reminiscent of the sort of ever-present evil in No Country For Old Men that won Bardem an Oscar, Silva is unmerciful in his plan for revenge. His first scene (which includes a monologue about rats on an island, taking place in one take) is the stuff of Bond legend, and one of the best introductions in film history. Director of Photography Roger Deakins adds to his long filmography of modern day classics with his work here in Skyfall. He is a true master of the visual arts and his compositions and eye makes this film one of the most strikingly beautiful Bond films ever. From the techno neon colors of late-night Shanghai to the exotic reds and orange of Macau, and right back to the cold blues and greys of London and the Underground, he paints each locale in its own specific palette. If you paid attention to my 5 For Friday: Oscar Predictions, I thought his work here was Oscar-worthy and I still stand by that. The scene in the Shanghai high-rise is proof enough for me. This is almost as much M’s movie as it is Bond’s and after five movies playing a supporting role, Dame Judi Dench is placed in the leading lady role and is arguably one of the best Bond girls of all-time. It isn’t until this movie that you do get the full scope of M and Bond’s relationship. A surrogate mother to him (and to Silva, for that matter), she is the most important person in 007’s life, which adds so much weight to the London chase scene that, for once, it felt like Bond wouldn’t make it in time. It’s gripping to watch as everything converges of the court hearing, as Bond has to resort to getting there on foot. I will write this review short of spoiling the finale, but suffice it to say that the last act is an interesting close to a Bond chapter and solidifies Skyfall as a top five Bond film. Note: I almost ended this review without even mentioning the amazing theme song by Adele. To keep it short, it’s a wonderful song; a worthy addition to the series, and personally, my second favorite Bond theme behind ‘Diamonds are Forever’. Previous Previous post: Myers Monday: Dear Parody Movies, Please Stop.